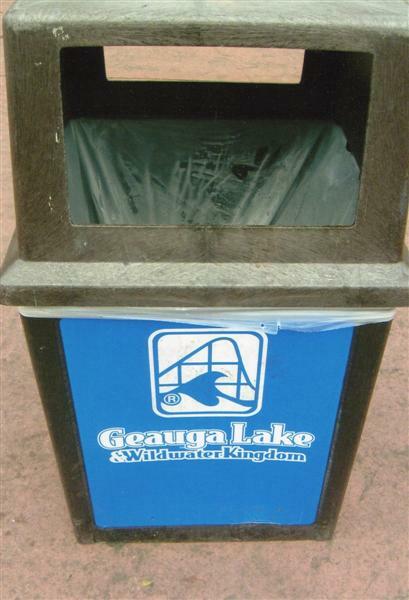 New update: Huge Geauga lake update!!! 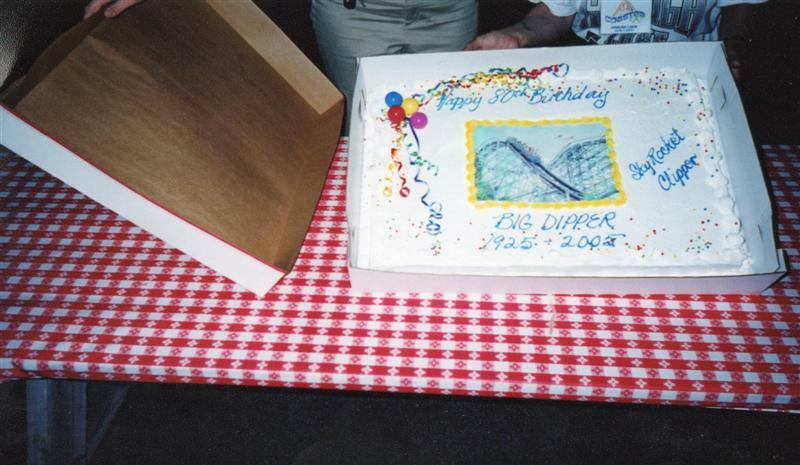 We are getting ready to move in a month, and while packing things up, I came accross boxes of old pictures. These are just a few of them. It takes a long time to scan them and post them, so I will do a little at a time. 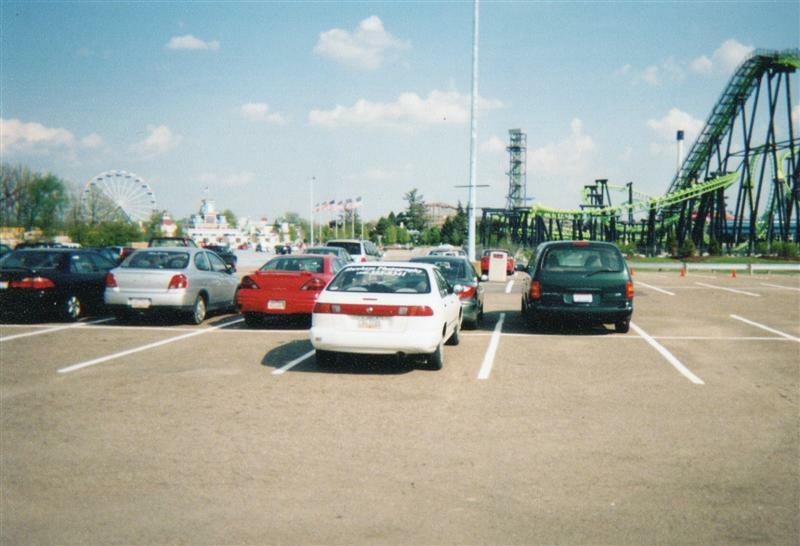 We start out with some pictures of cedar point. 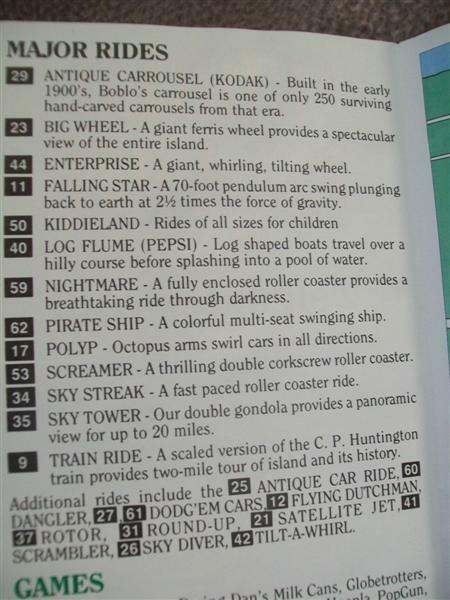 There are a bunch of the white water landing, and the sea aquarium and pirate ride remains. 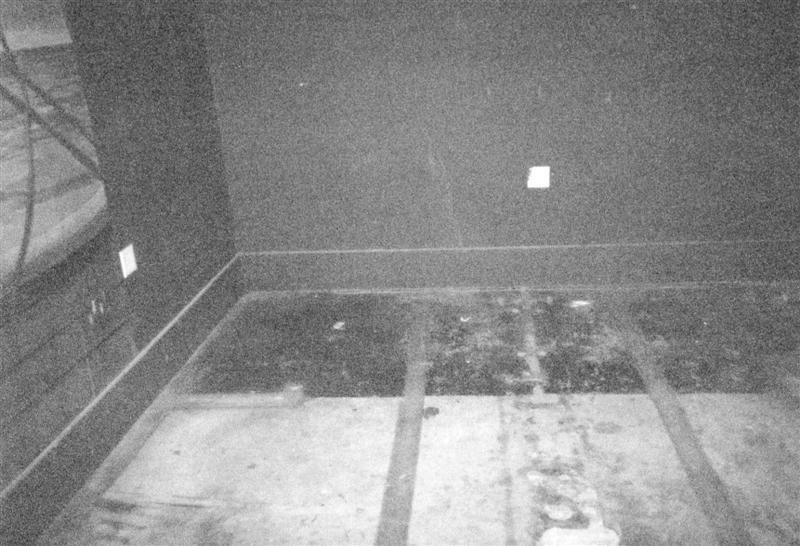 Some pictures are a little dark, as I took most of them before I ever had a digital camera. 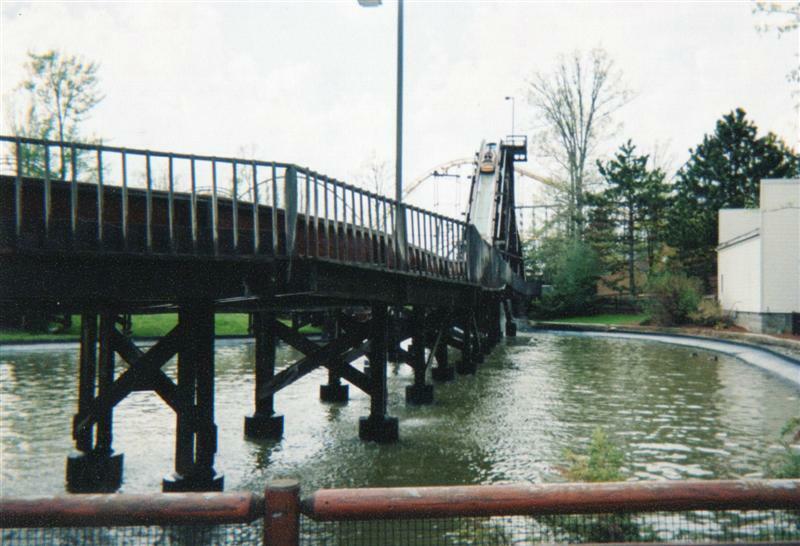 There are also a few pictures from geauga lake. I hope you enjoy them. I will be posting more as I have time to do so. 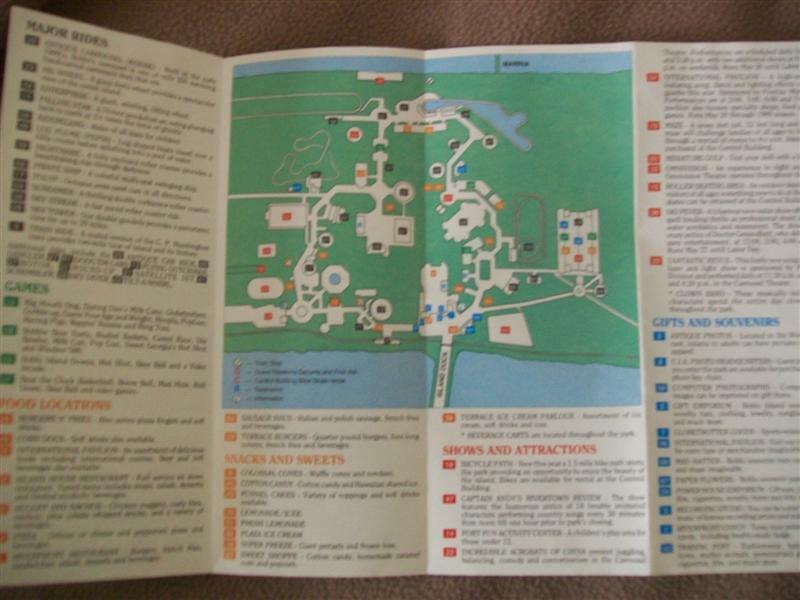 I have a lot of old park maps as well. 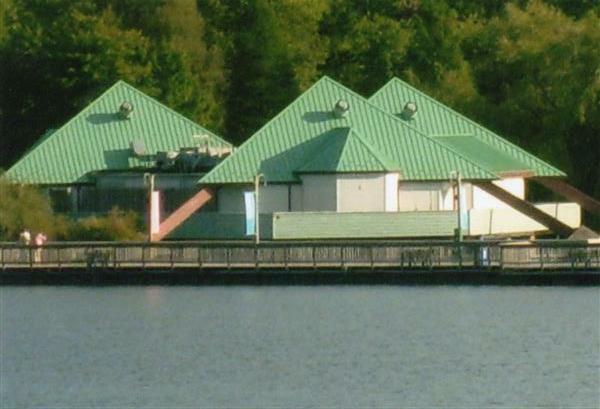 One last look at the final drop of white water landing. 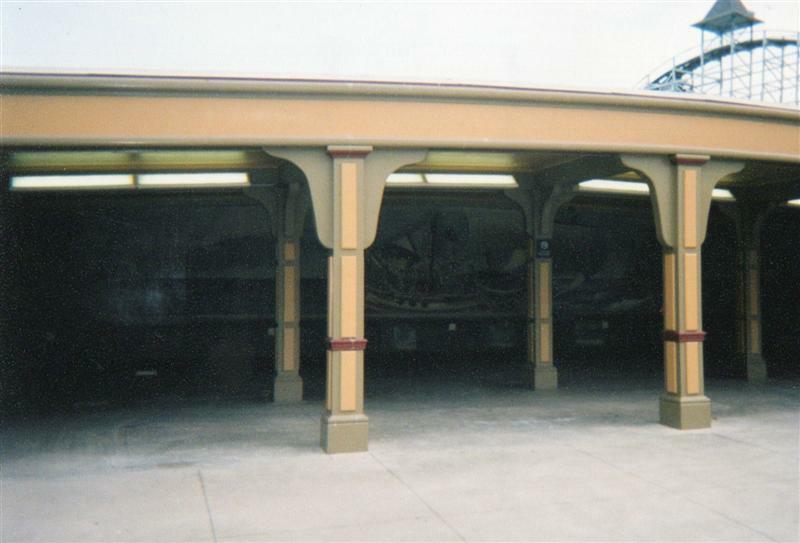 A few of the remains of the original shoot the rapids ride. 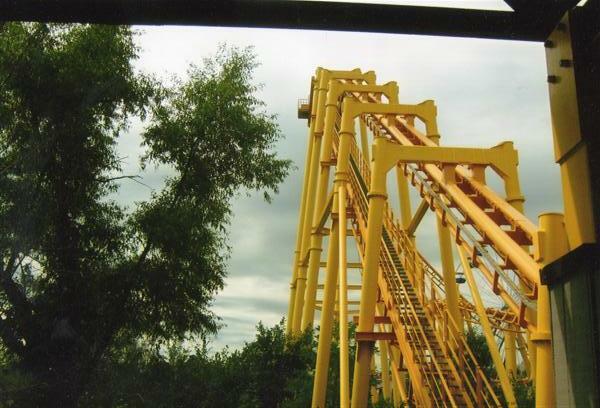 Wildcat before the horrid pait job it has today. 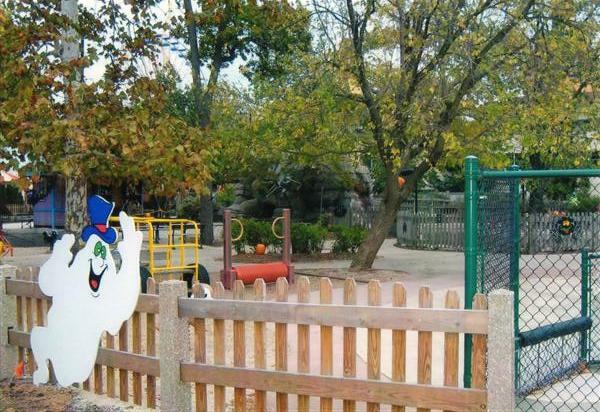 Before planet snoopy, there was the peanuts playground. 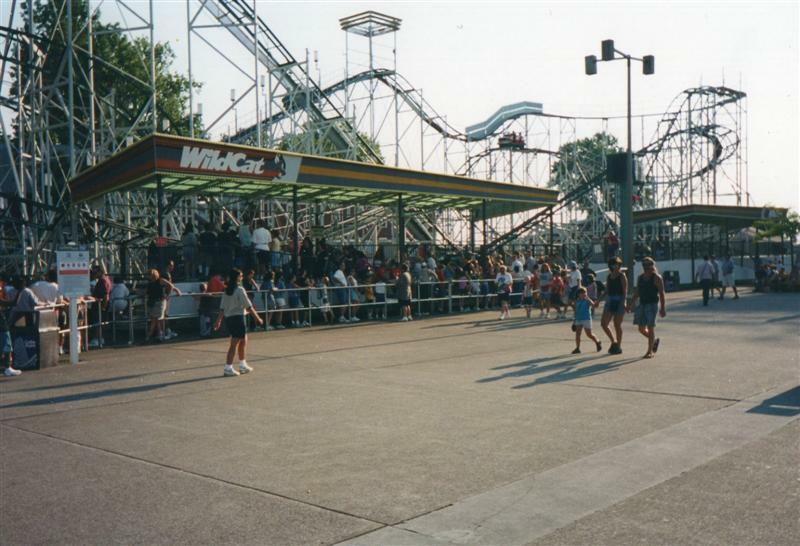 The beach midway before wicked twister. Notice the aqarium? 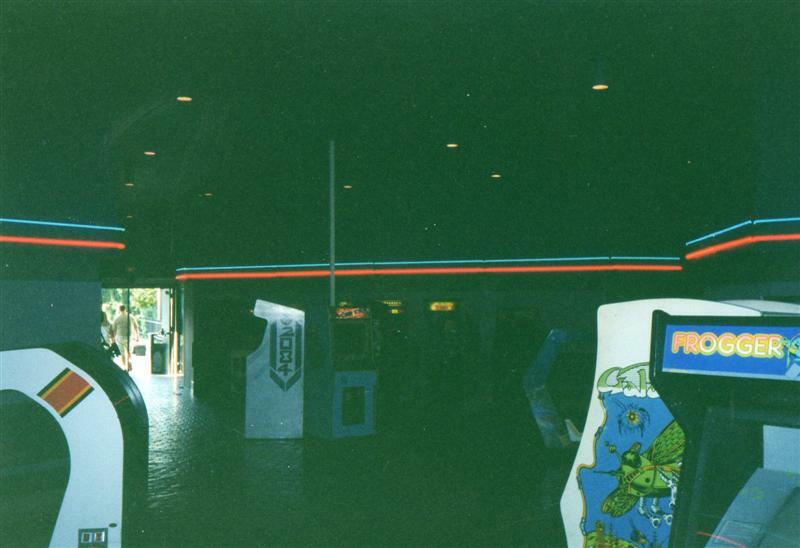 The aqarium was turned into an arcade after all the fish were taken out. 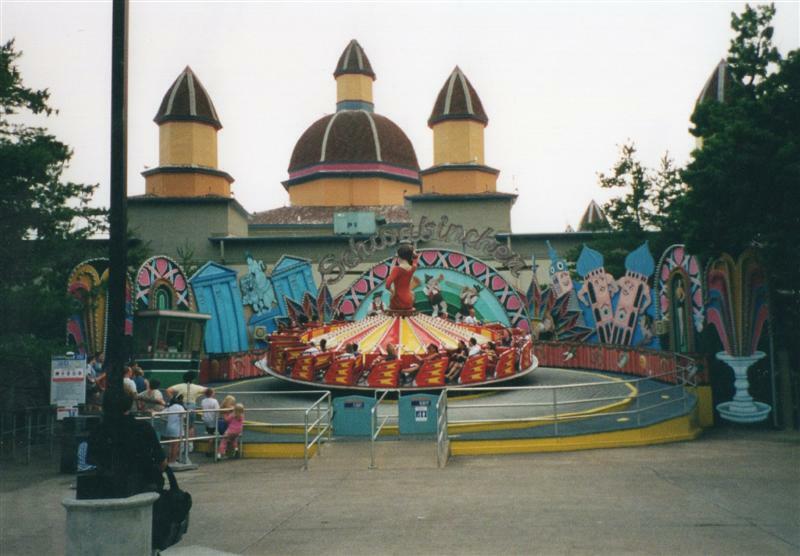 Now we move on to geauga lake. 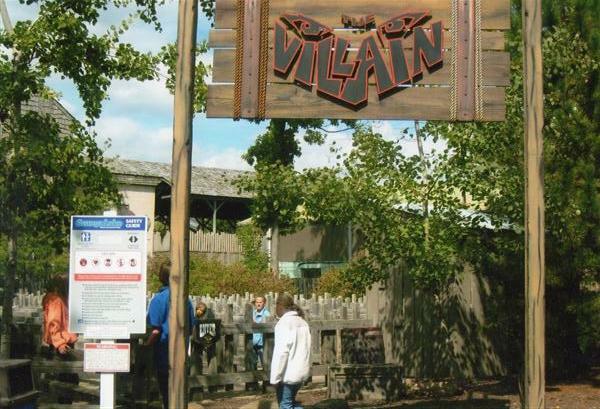 If you looked to your left near the front gate, you would see villions turnaround. 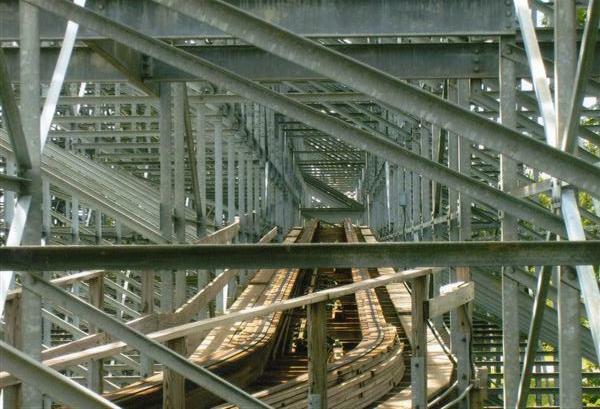 A little bit of the coaster. 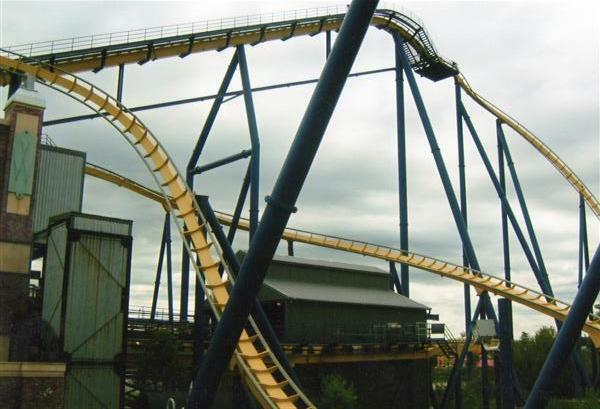 If you looked to your right, you would see x flight. 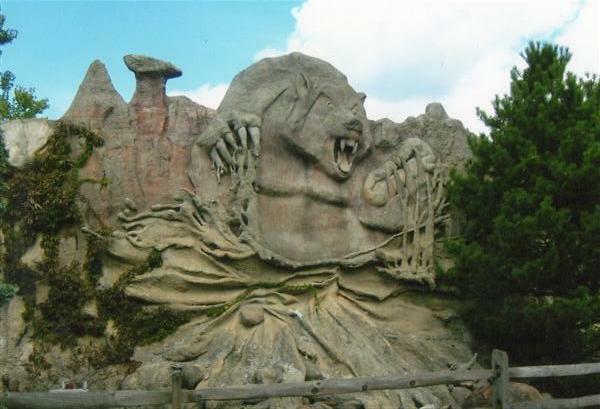 We start off at a look at white water landings cave. 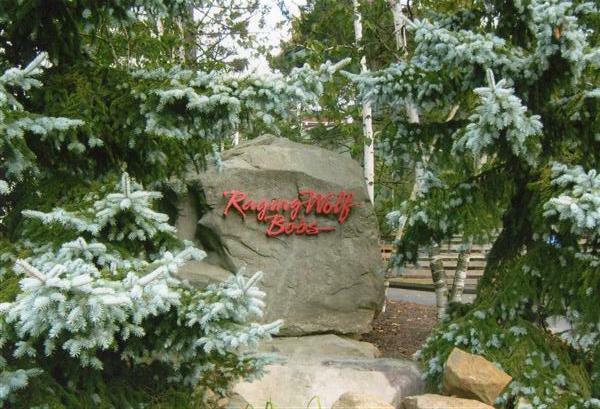 Walking to the main gate. 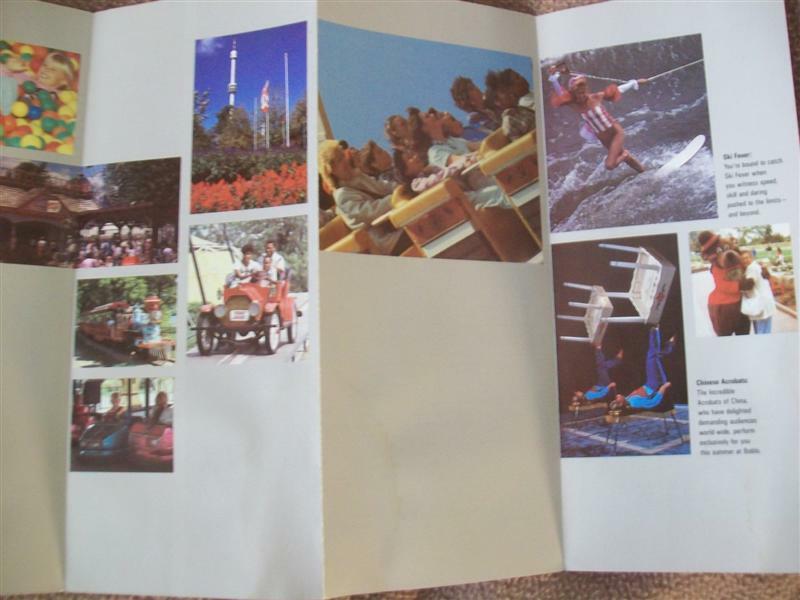 A look at sea world the year it closed. 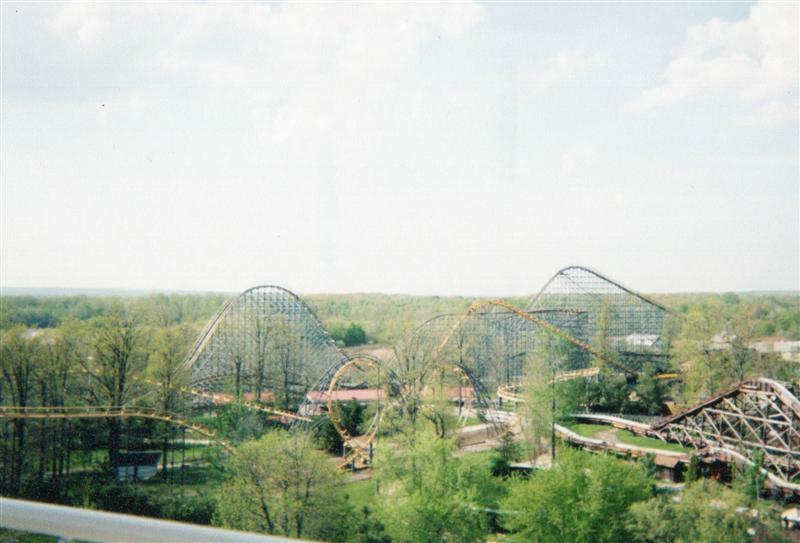 A look at the east side of the park from the ferris wheel. 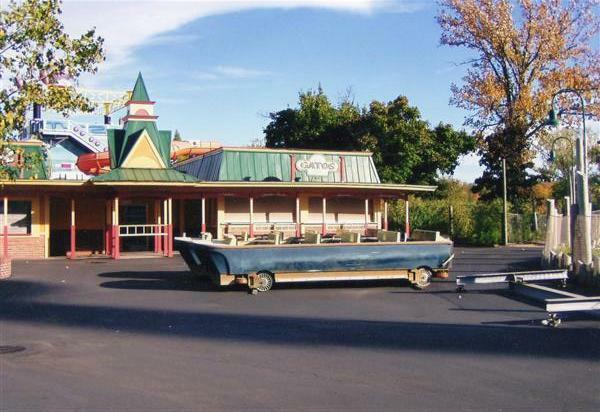 Back at cedar point, we see the old pirate ride building sitting empty. 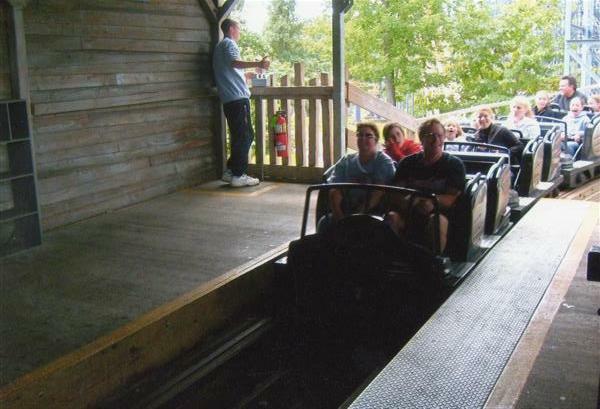 The only sign of the ride is the tracks it left. 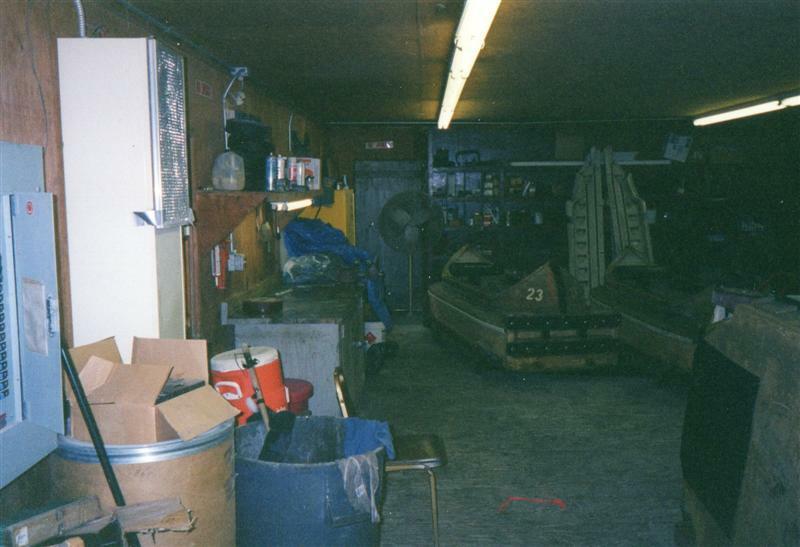 They used to repair the boats in the maintanance shop. 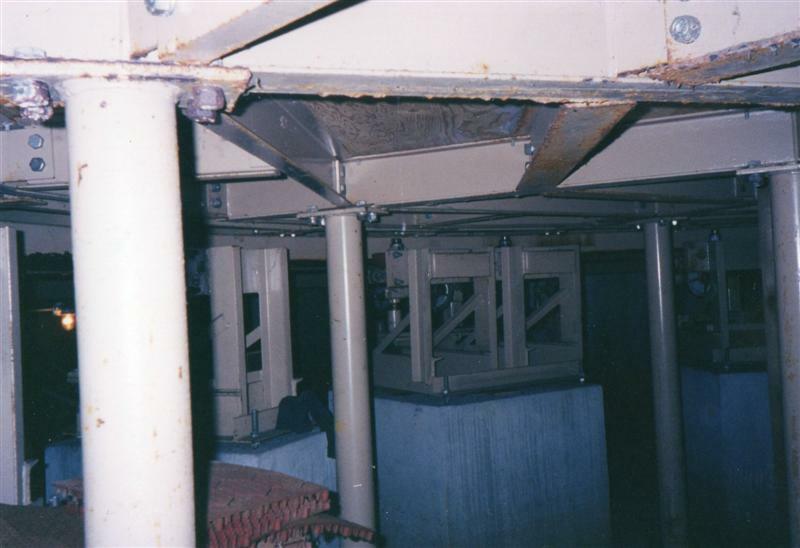 A peek under the rotating platform for white water landing. 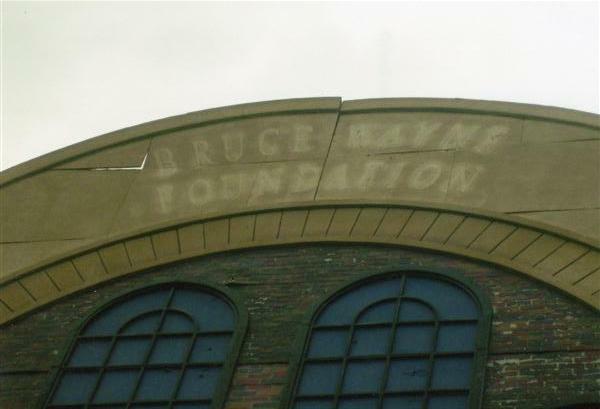 The snaking flume. 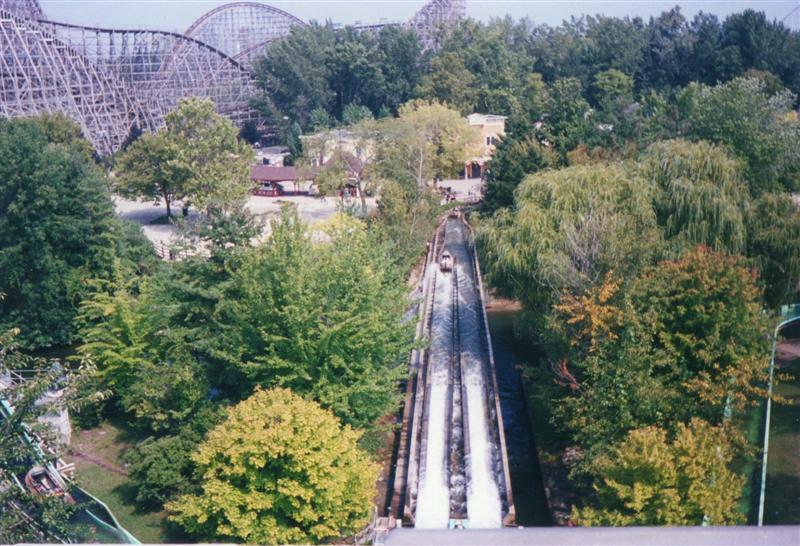 While up there, you got a great view of lake erie and mean streak. 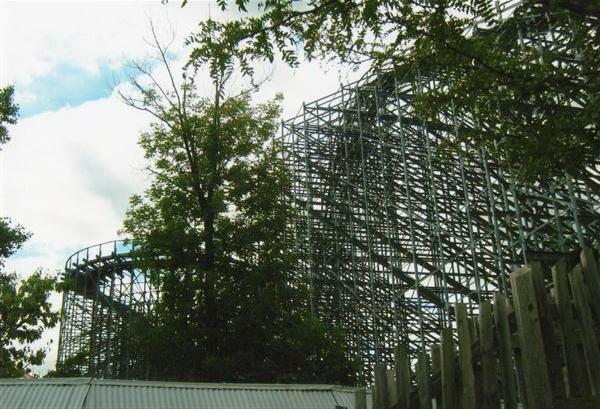 A good look at mean streak. 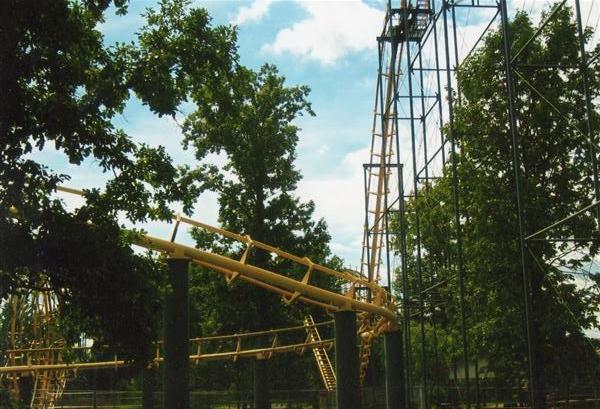 The big drop at the end of the ride. 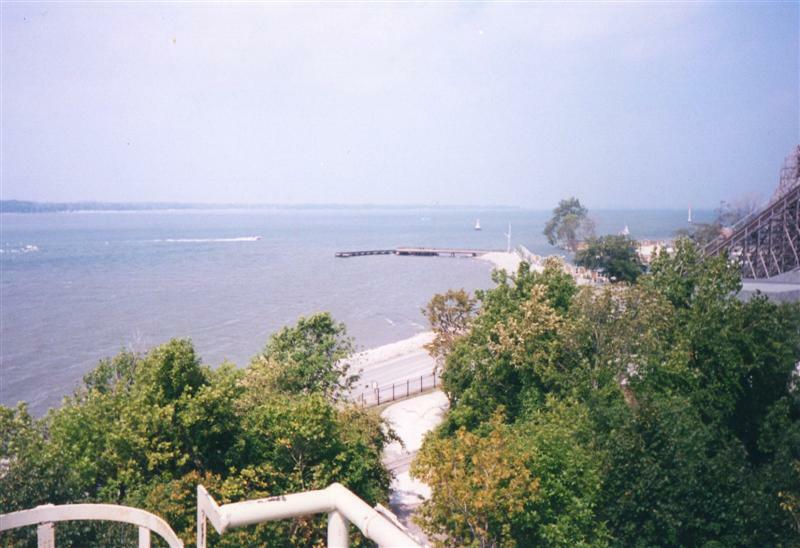 Lake erie as seen from white water landing. Last edited by thrillrider on Thu Jan 23, 2014 8:36 pm. 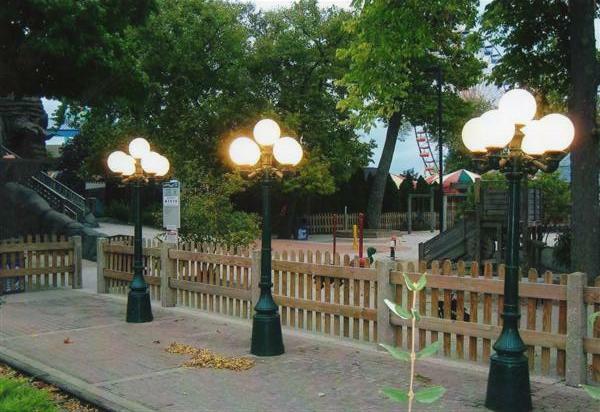 I love old pics of parks, especially the ones that have changed so much over the last few decades. 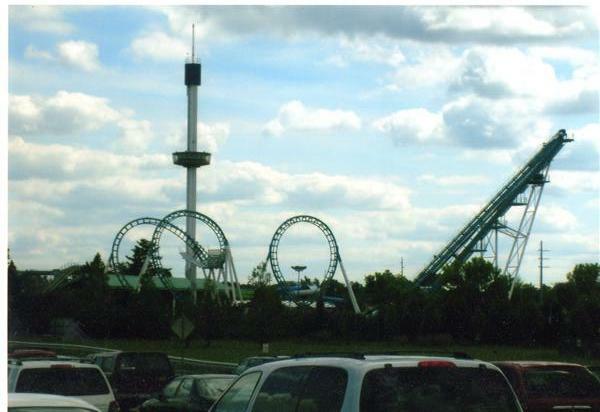 These are from the very last day geauga lake was ever open!! At the time, nobody knew this. I would have taken more pictures had I known. 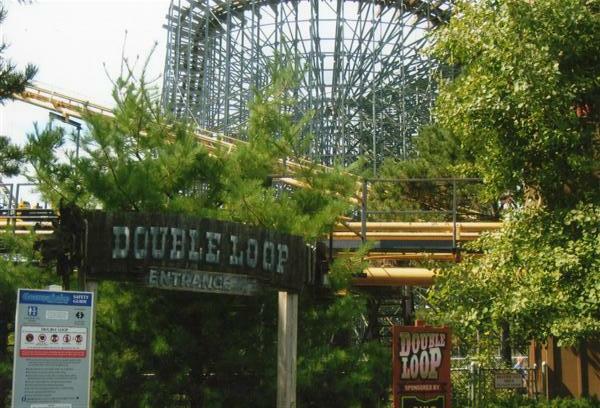 Double loop corkscrew coaster. 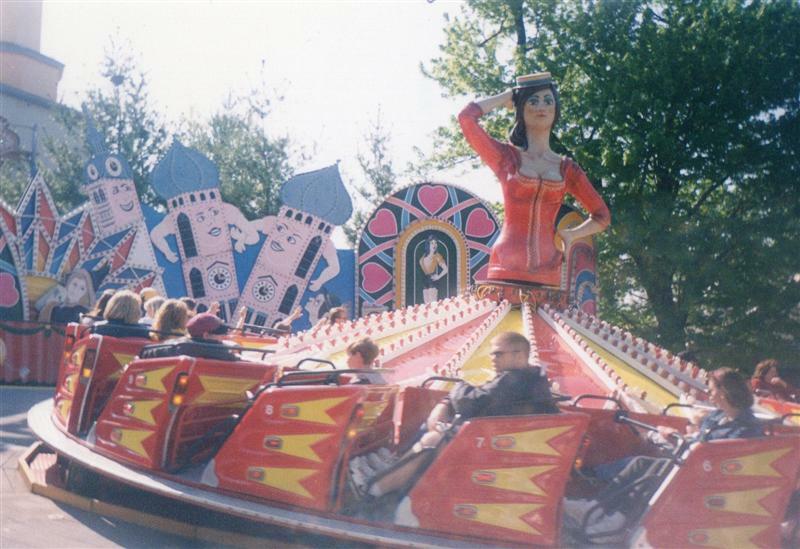 I really did like this ride. 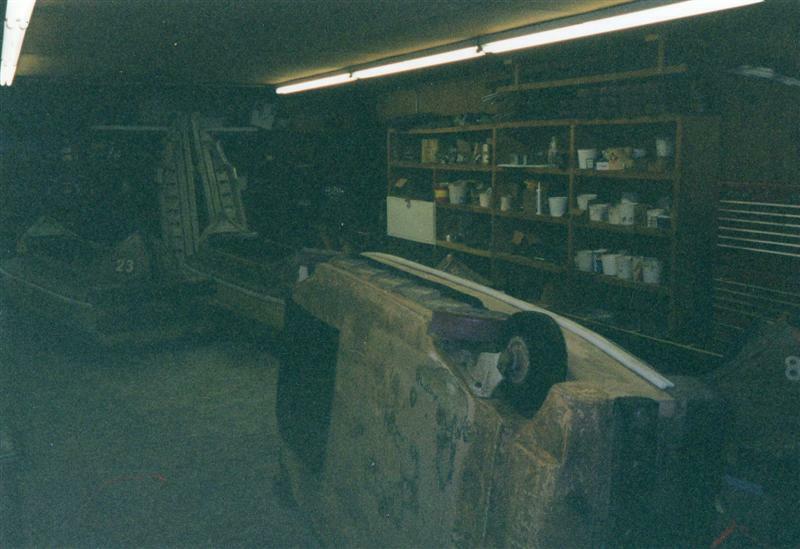 It's a shame that it ended up in the scrap heap. 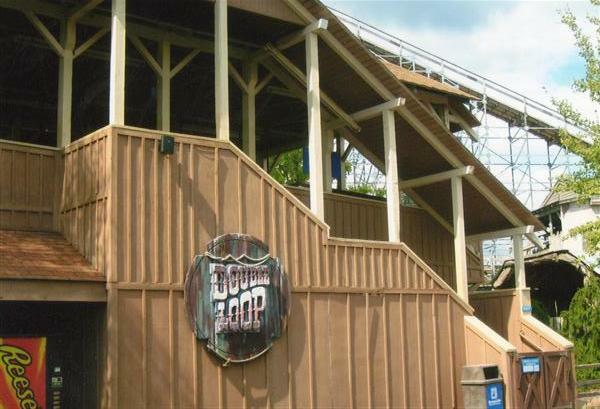 Double loop sign and entrance. 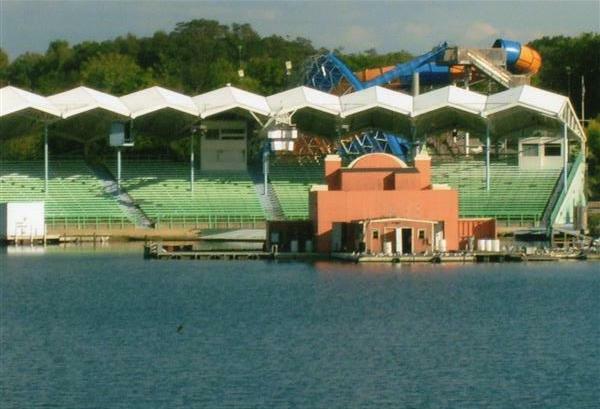 One of the last standing buildings from sea world. 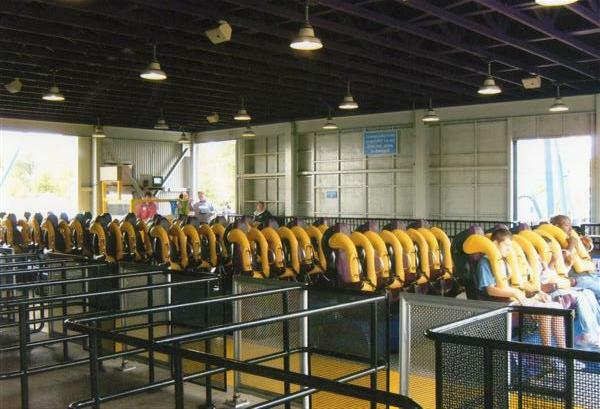 Head spin was a typical boomerang coaster. 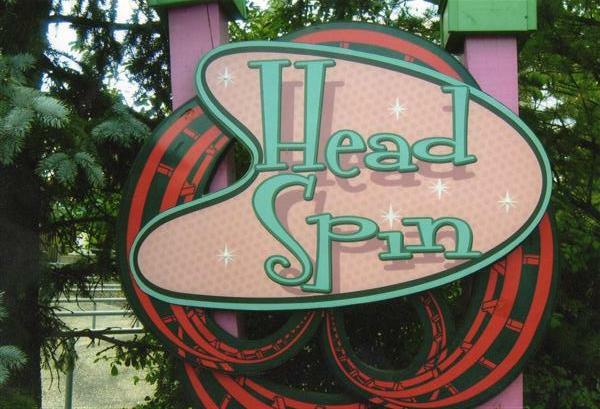 It can now be found at carowinds. 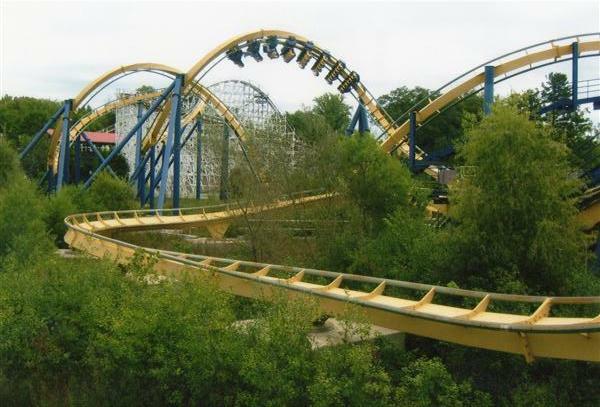 It's a shame this coaster ended up in the scrap heap. 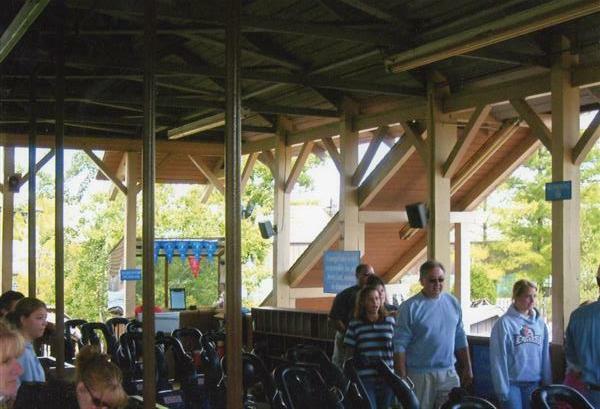 It was a ruff ride, but had a great layout. 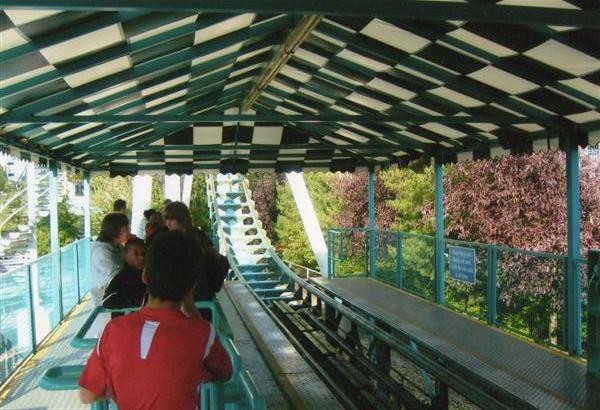 Brake run just before the station. 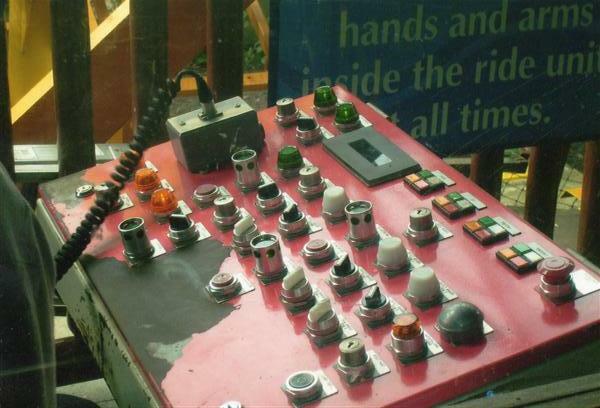 The trains were not the best. 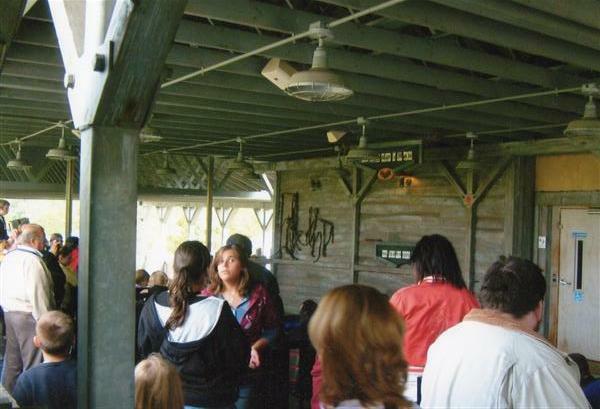 The station was themed really nice. 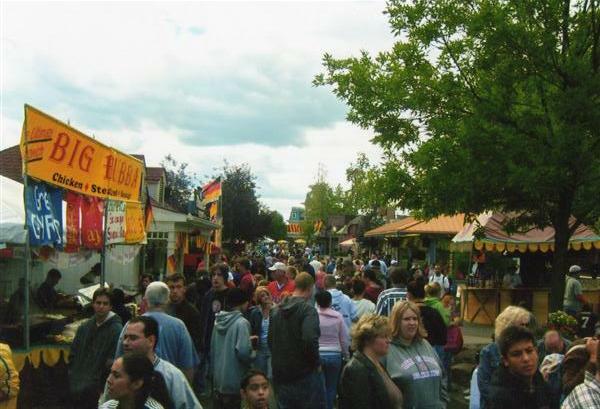 It was the last day of october fest. 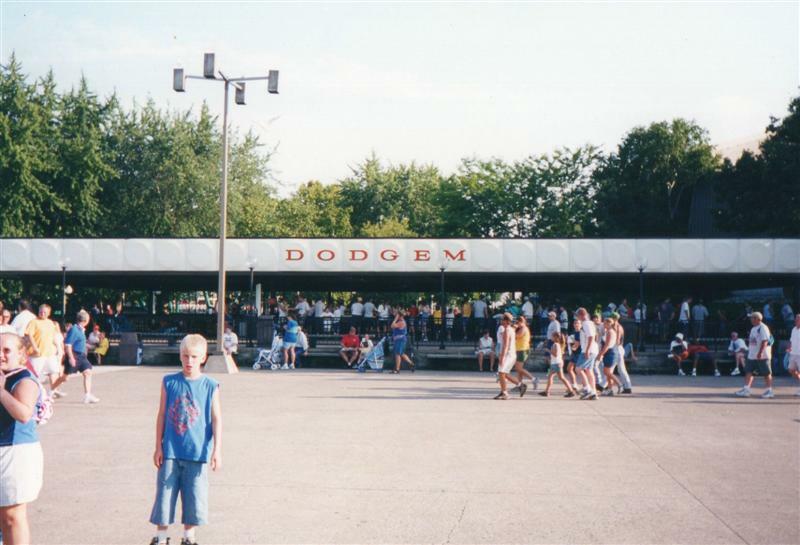 The park was packed, and nobody knew it was the very last day the park would ever be open. 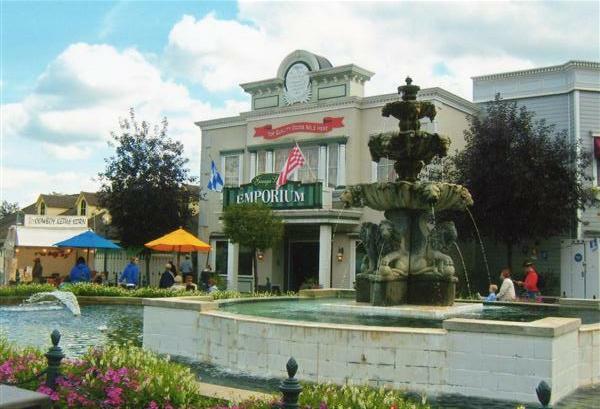 The fountain near the main gate. 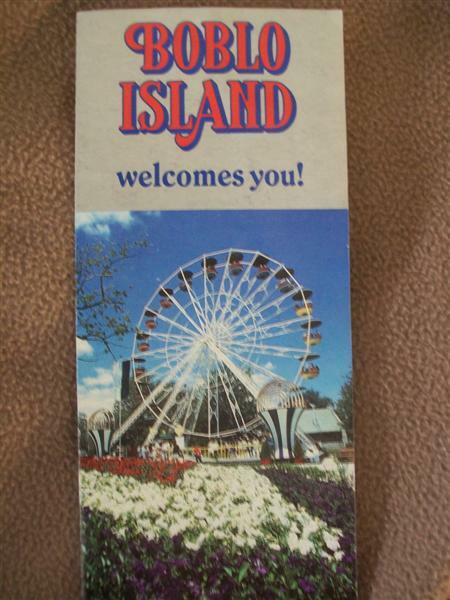 There were plenty of signs around that this was once a six flags park. 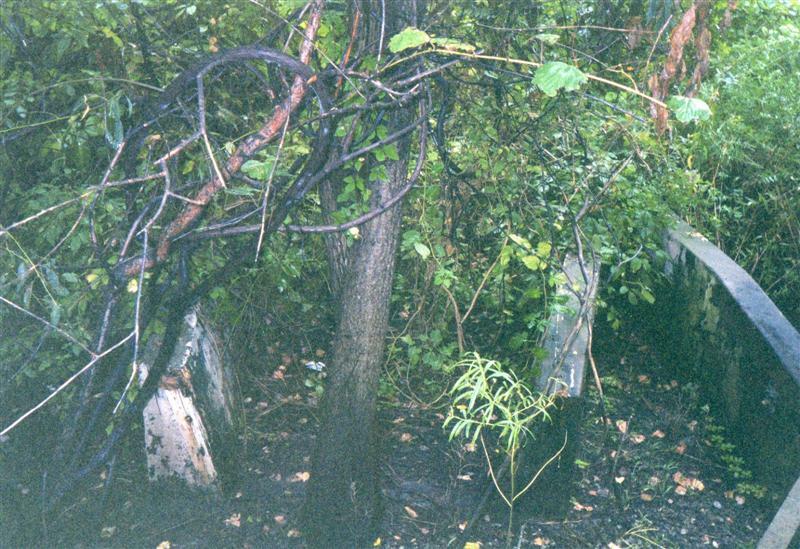 It used to be over a swamp. 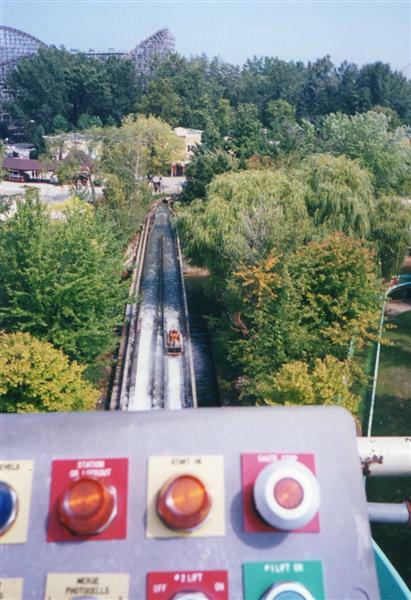 The flume rides boat was sitting on the midway. 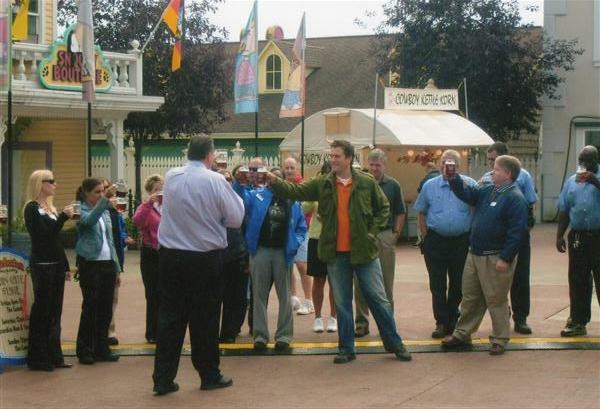 I think it ended up at silver dollar city. 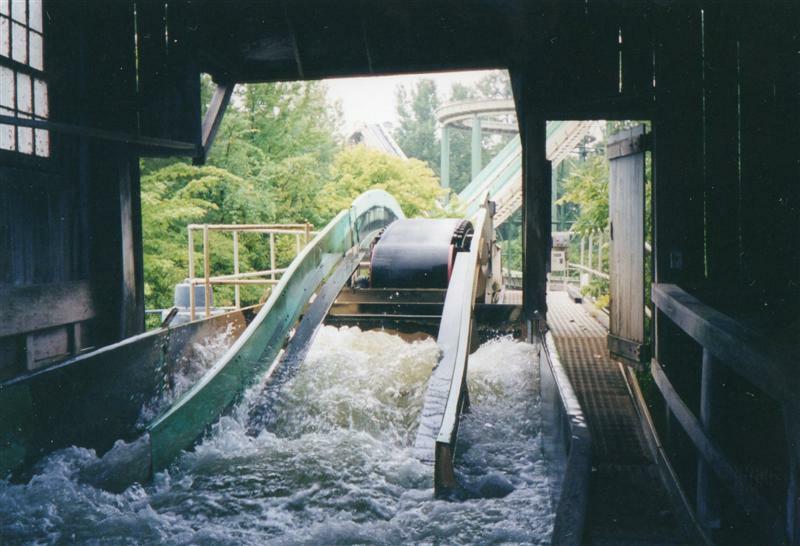 Anybody that was a regular at the park, would remember this from the log flume. 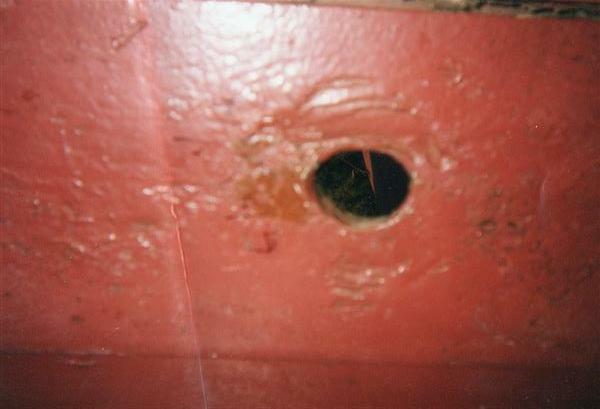 It's the famous "glory hole". 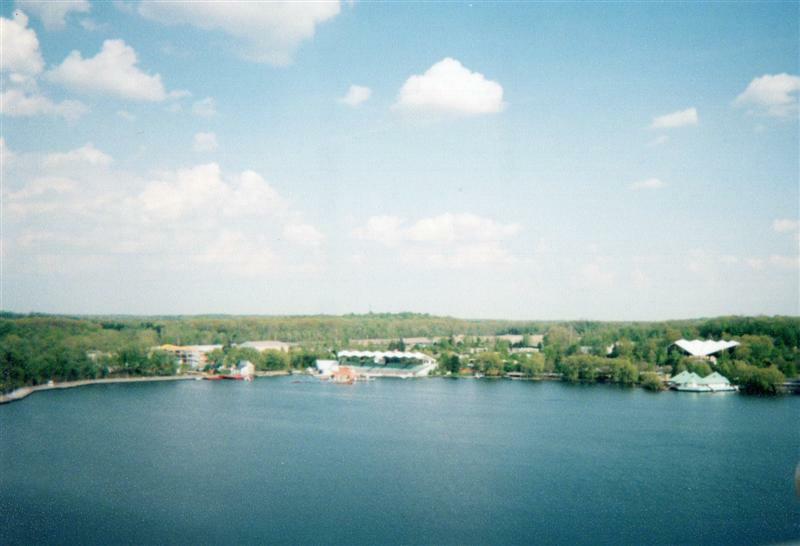 An old family picture from sea world, looking over tourds geauga lake. I think this was taken in the 80's sometime. 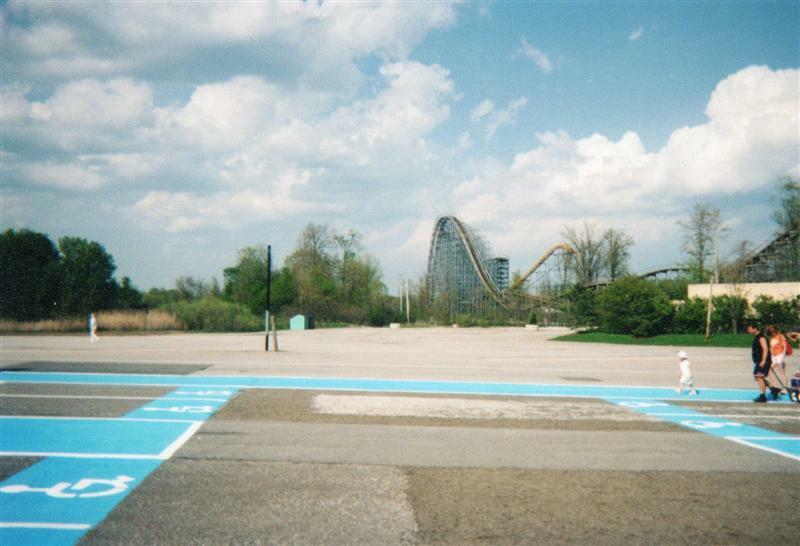 The very last shot I ever took at geauga lake park. 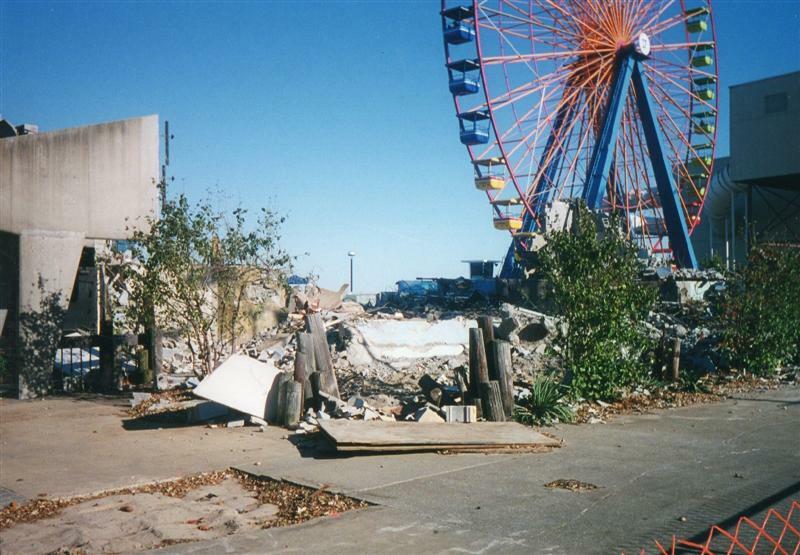 This was near the parks exit. I guess the staff all knew it was the end. 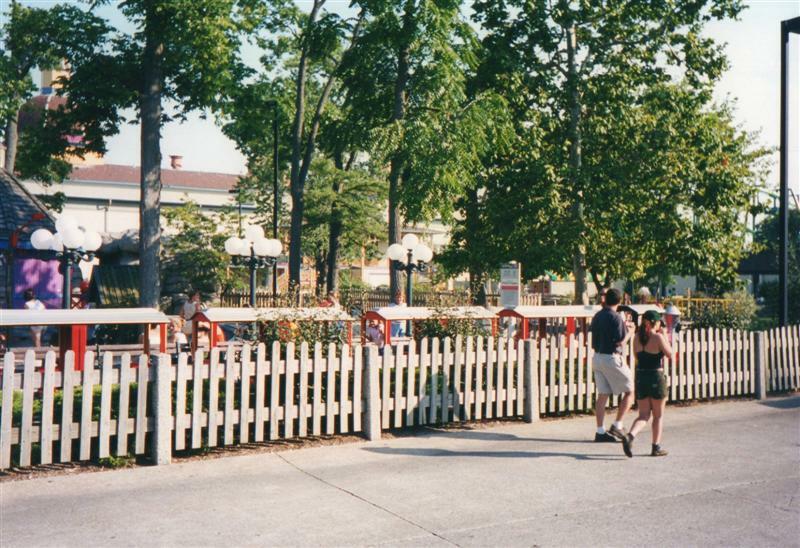 Back at cedar point, here are a few shots of the old peanuts playground. I also found a shot of chang. 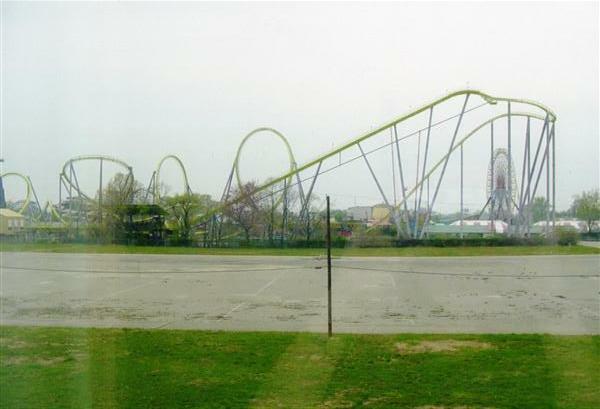 This was taken from our hotel room next to the park. I am starting to question weather or not to continue this thread. Only one reply so far. 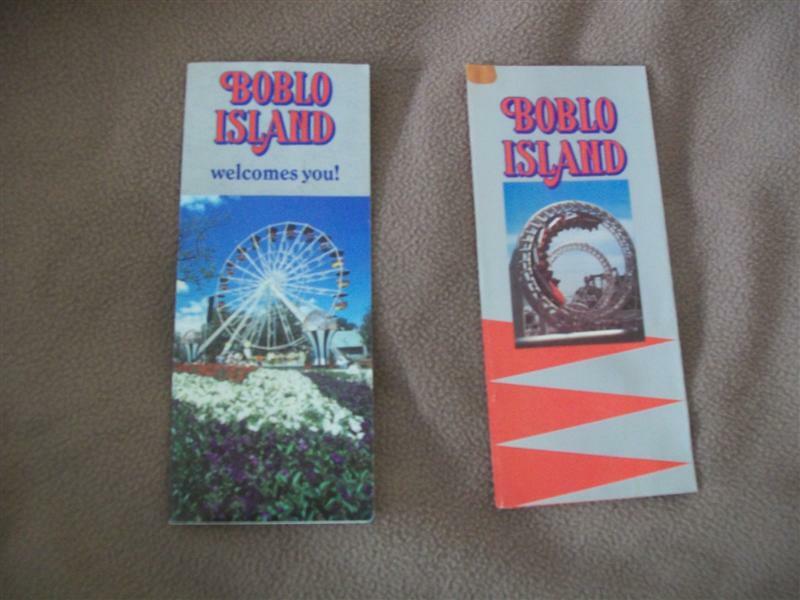 Here are just a couple of park brochures Boblo island, and a letter from George Boeckling of cedar point. 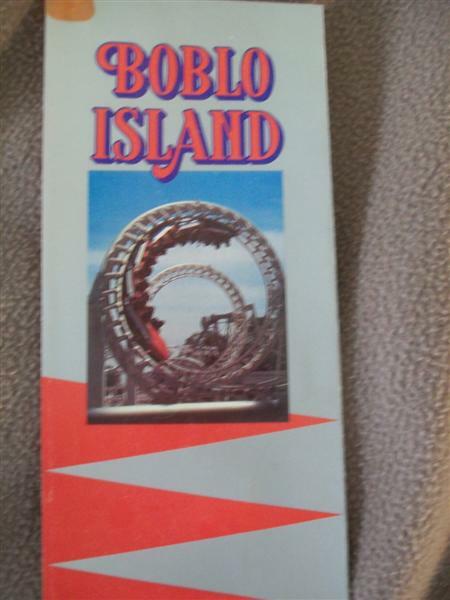 I found a few old boblo island items. 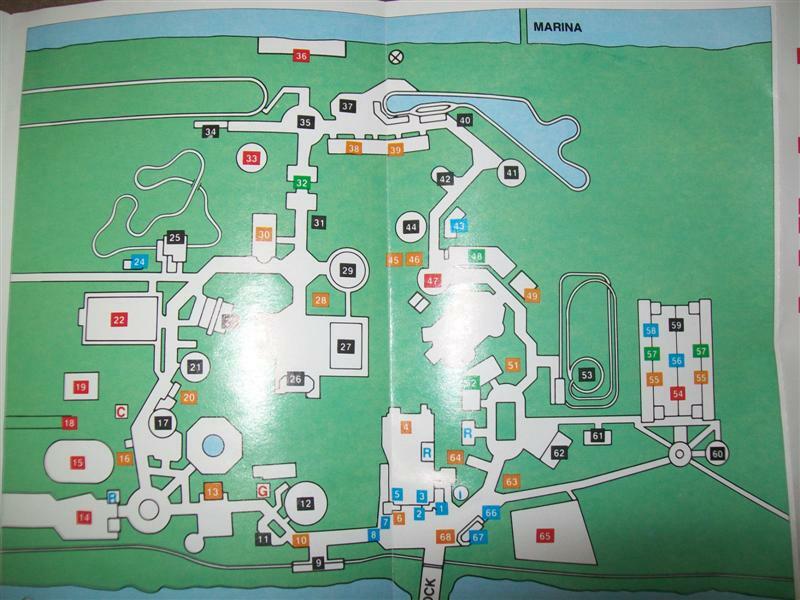 A close up of the park map. 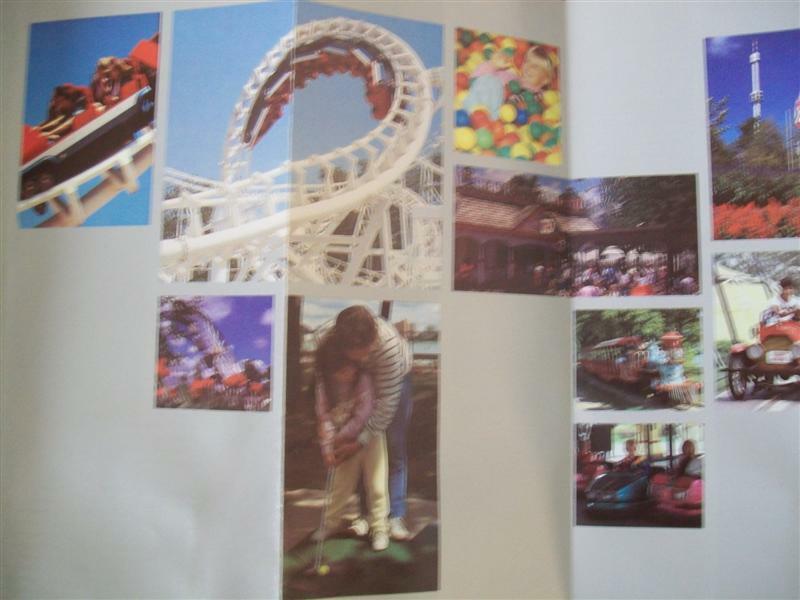 Random pictures of the attractions. 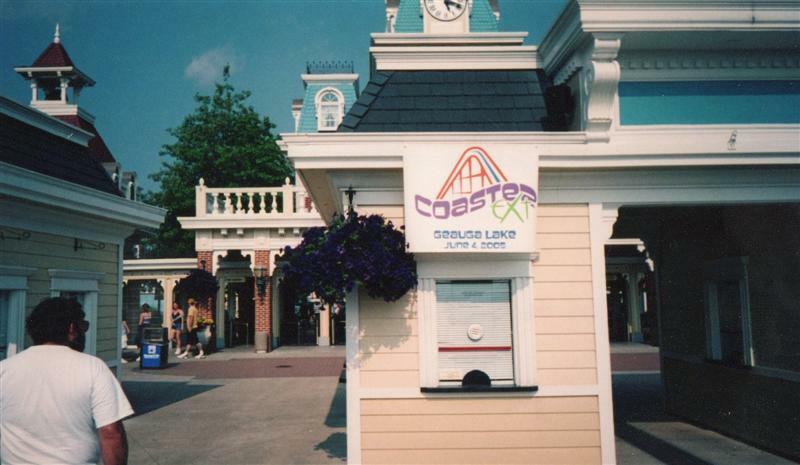 This is an old letter from the G.A Boeckling CO at cedar point. 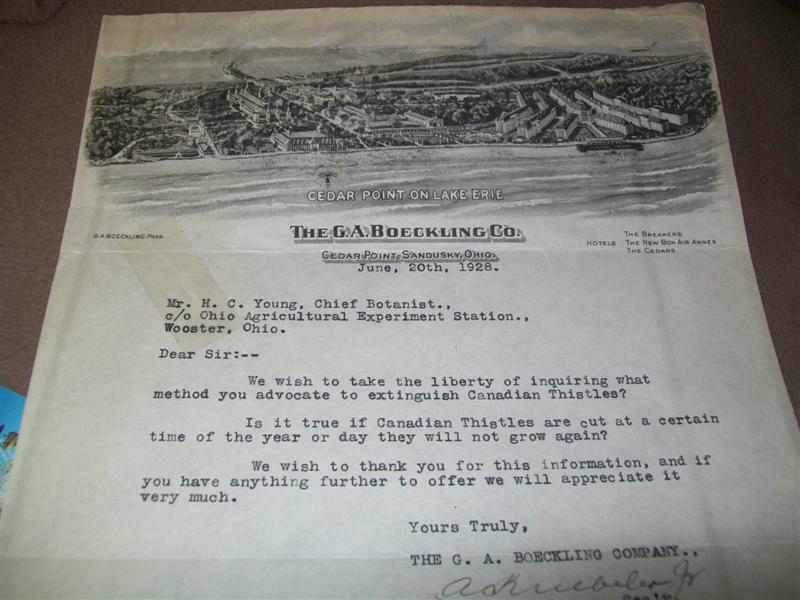 The letter is dated 1928. 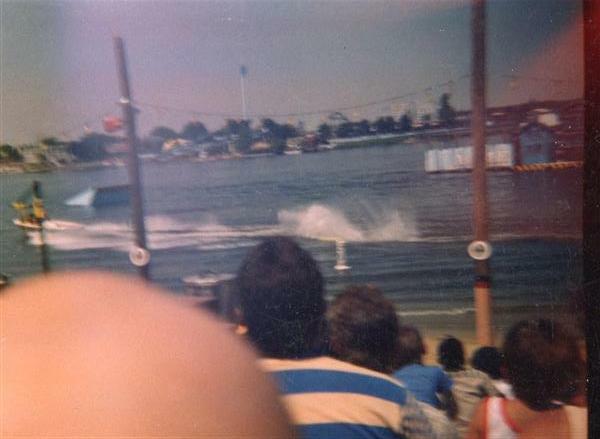 Thanks a lot for showing those Geauga Lake pics. I wish I made a couple more visits those last couple of years. 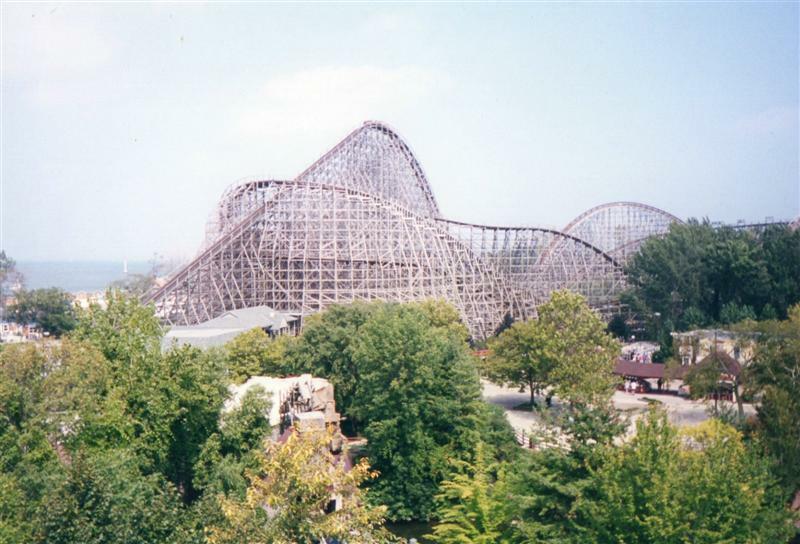 I would give alot money for one more ride on Villan, which I thought was one of the best woodies anywhere. 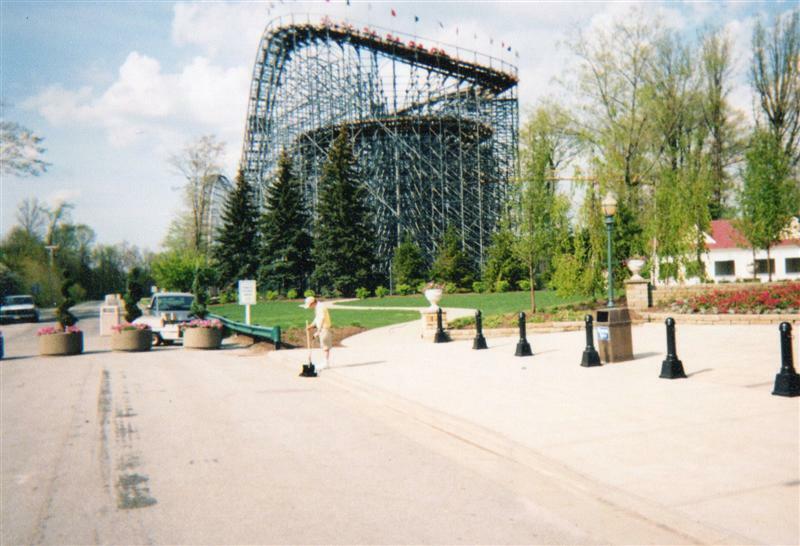 I really do miss that park. 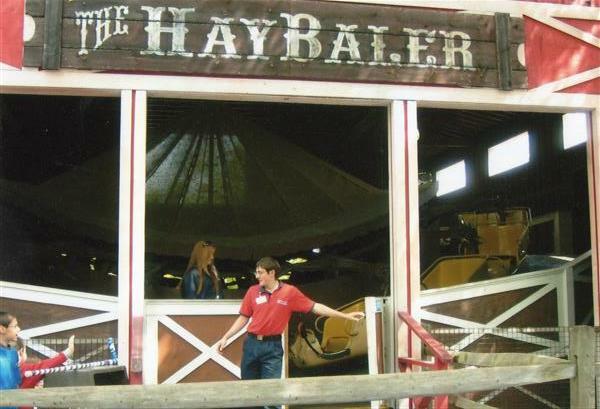 Thank you Thrillrider. I grew up going to GL in the 80s and 90s. 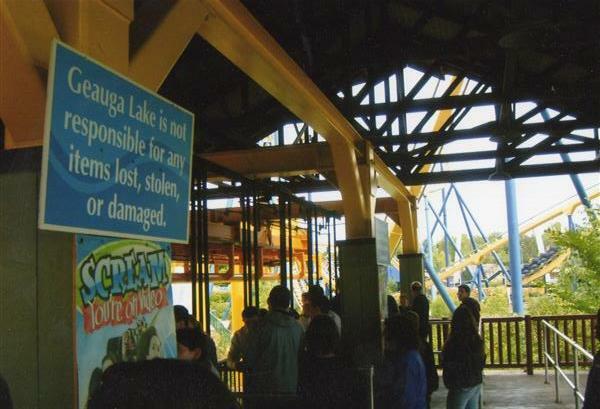 A shame what Cedar Fair did to the place. 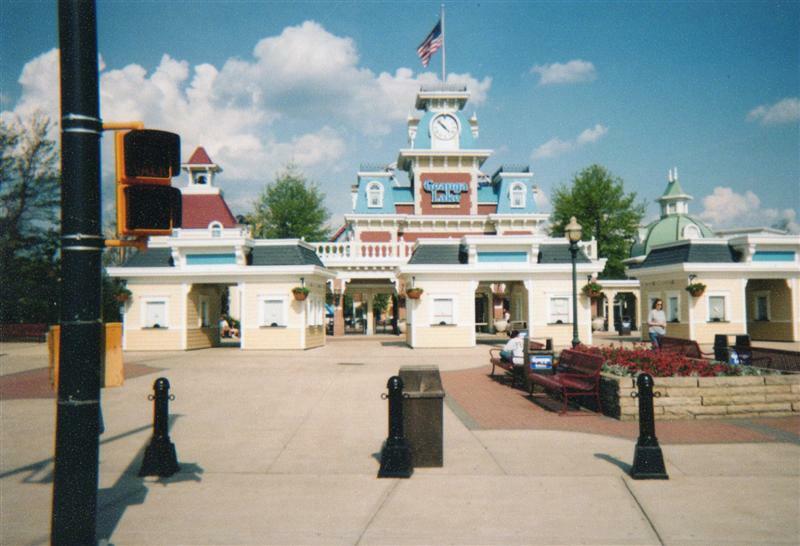 Here are a few more geauga lake pics. 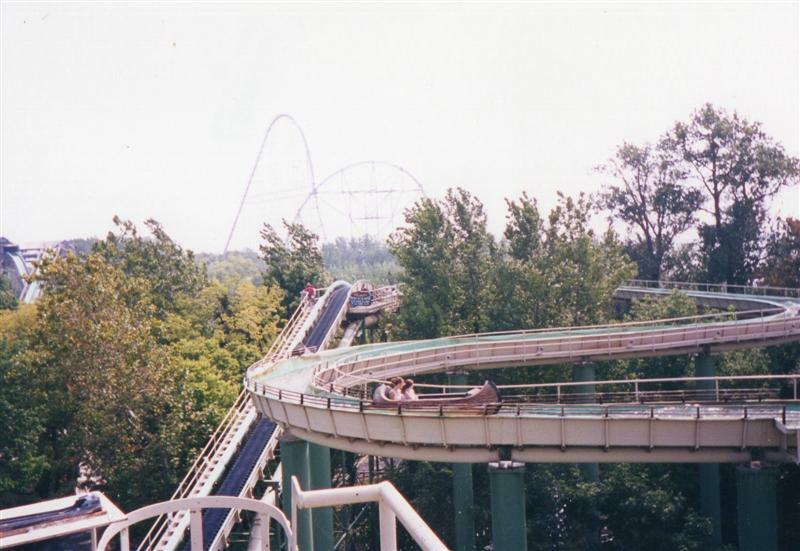 One of the coaster events I went to at geauga lake. 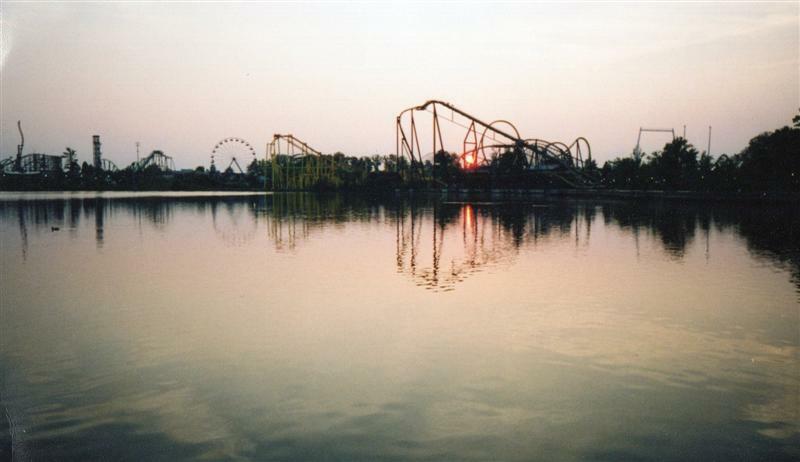 Looking across the lake at sunset. 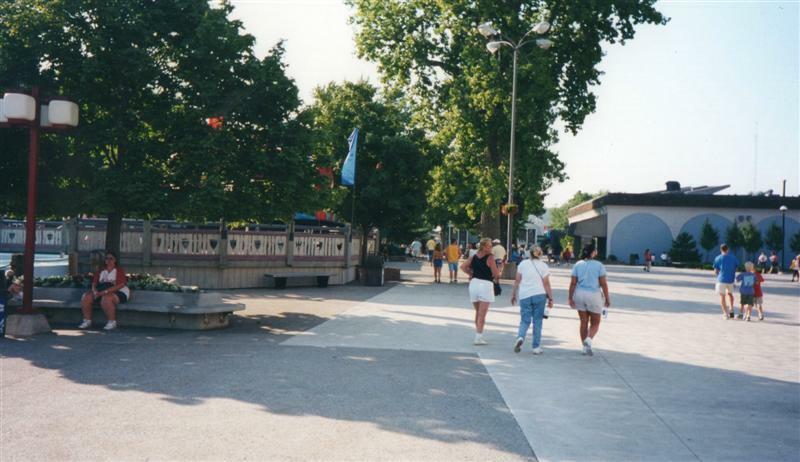 Remember the aqarium back at cedar point? 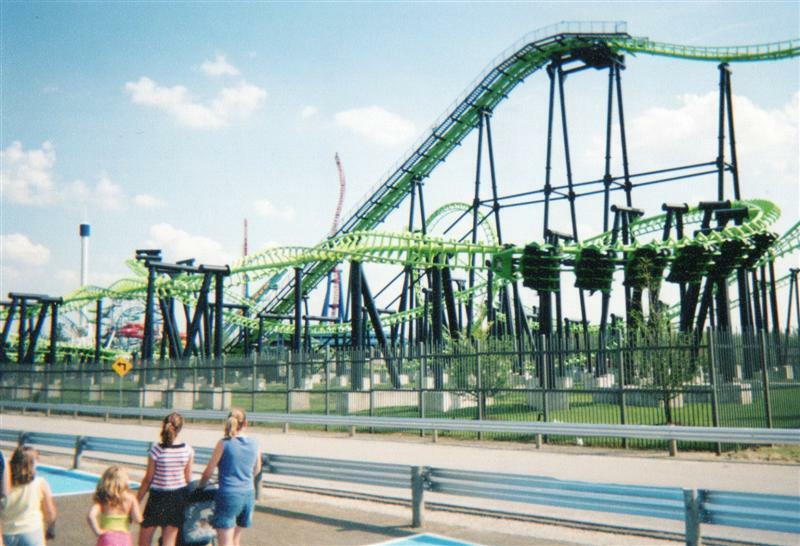 Here is what was left of it when they were building wicked twister. 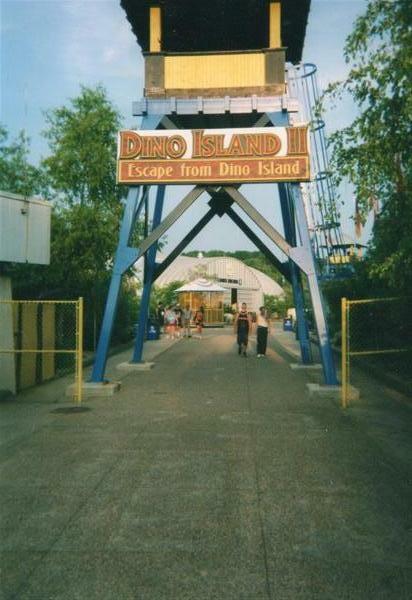 This was one of the best looking rides in the park. But I still can't spell it's name. "and here's me with a pair of dirty socks...."
but these are great photos. keep em coming! 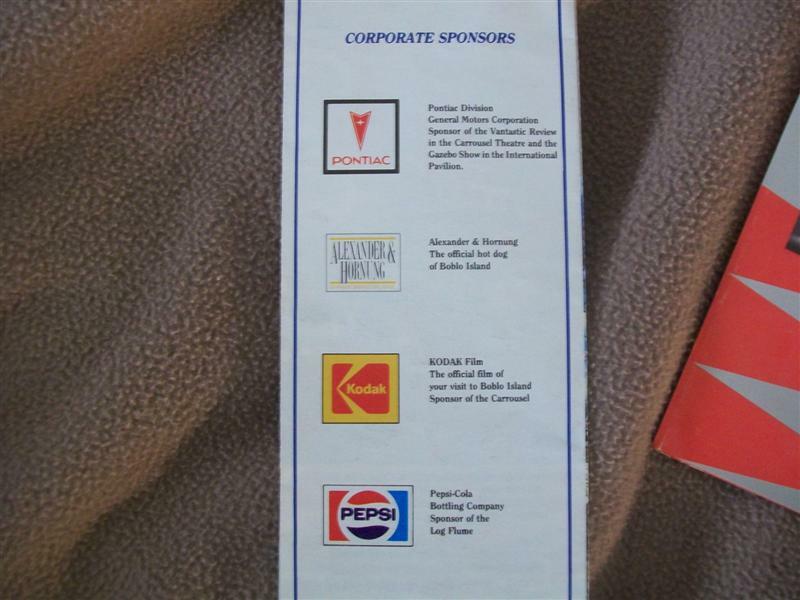 Wow, a Boblo brochure! 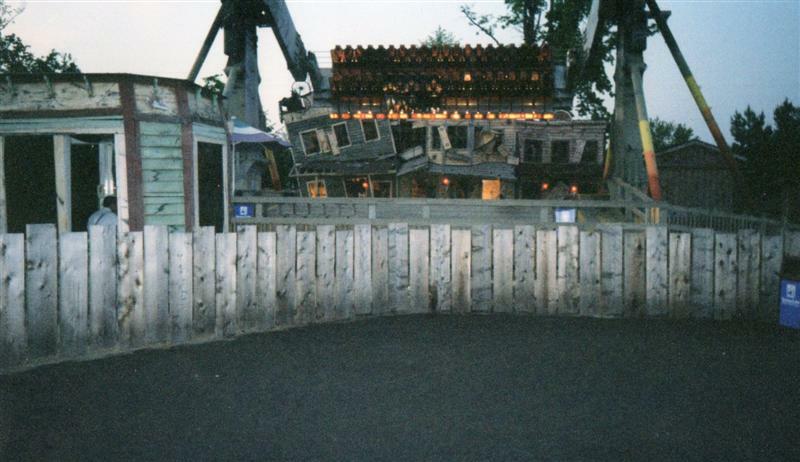 That was my home park Thrillrider, shame what happened to it as well...I loved the GL ones too, I went once, but it was one of those places you felt like you had visited a thousand times. 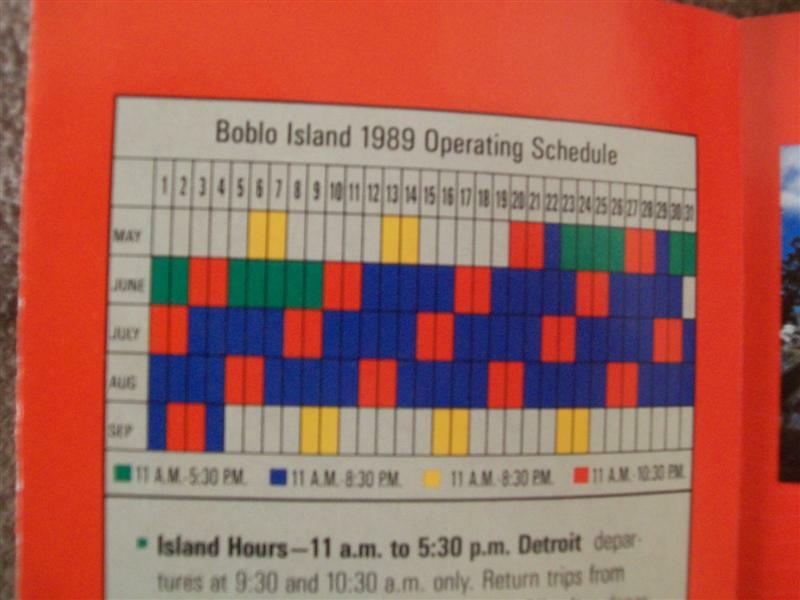 I have a lot of memories as a child going to boblo island. 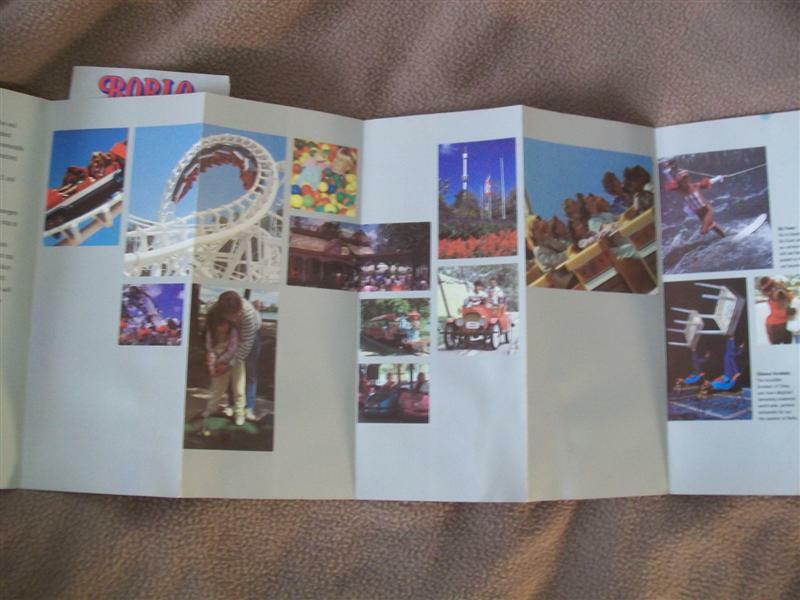 So when I found these booklets, I was suprised. 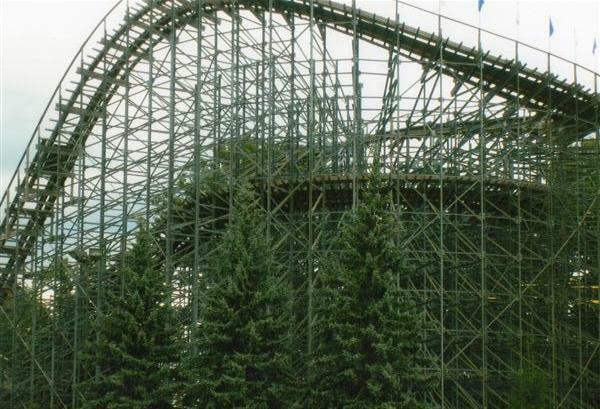 I just found out a few weeks ago, that the falling star at michigans adventure is from boblo island. 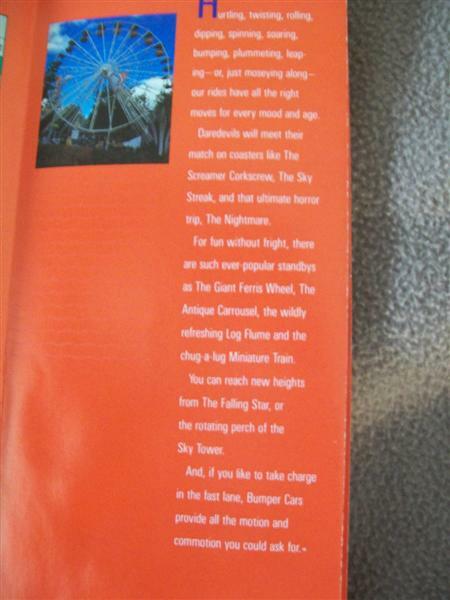 I have a ton more pictures and other older park maps to share. I will post some more real soon.